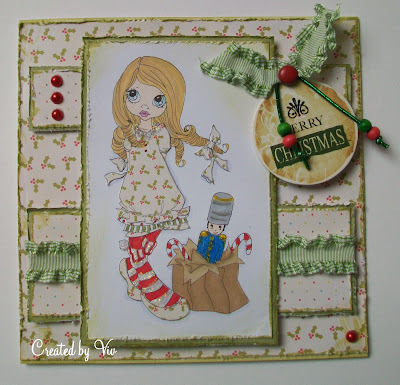 Welcome to our latest challenge, hosted by Viv who has chosen the theme of CAS or Clean and Simple. 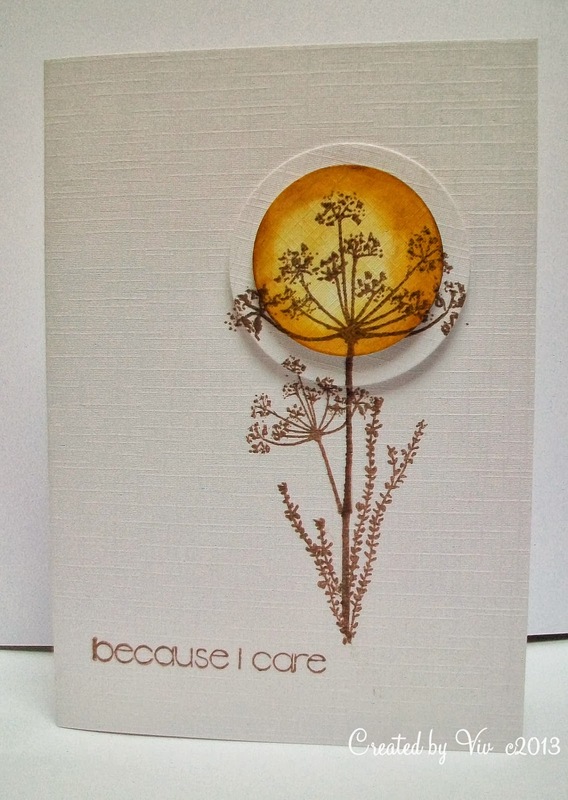 A design of card with clean lines, minimal elements, areas of white space and few or no embellishments, most often single layered or minimal layers. Clean and Simple A design of card with clean lines, minimal elements, areas of white space and few or no embellishments. 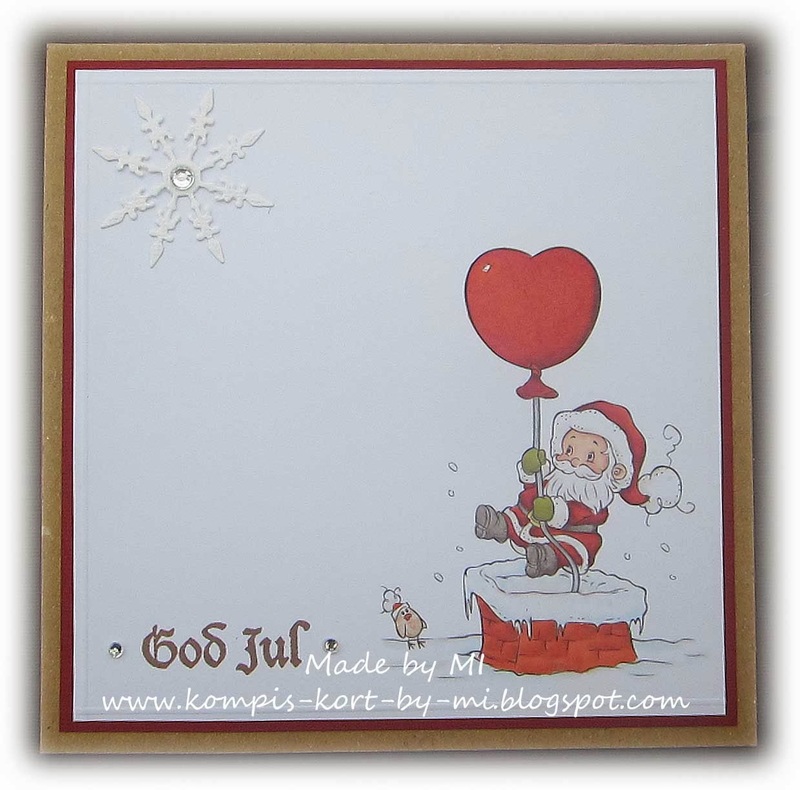 White Space An area of the card which has no image, layer or embellishment. This can be any colour dependent upon the colour of the card blank. 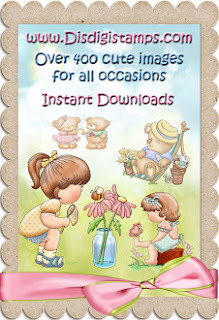 OLC One Layer Card One piece of card folded in half with no additional layers and minimal embellishments, where the image is stamped or printed directly onto the cardstock. The above definitions are the criteria we will be using to decide if your entry is CAS or not! We are kindly sponsored for this challenge by The Stampman (and Lady of course!) who are ofering the winner a £10 voucher for their store, you can spend this online, or if you're lucky enough to see them at a show! 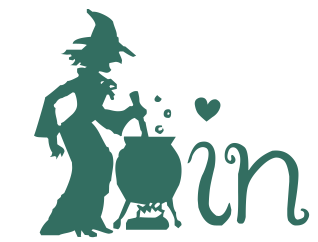 They have a ton of items in store, enough to tickle any crafty taste bud. 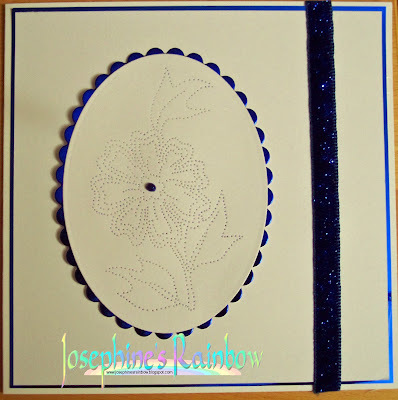 I used stamped different floral stamps and distress inks to create this card using simple circle nesties to add some dimension. The image on this card was stamped onto a piece of the same card as the base card and edged with black. 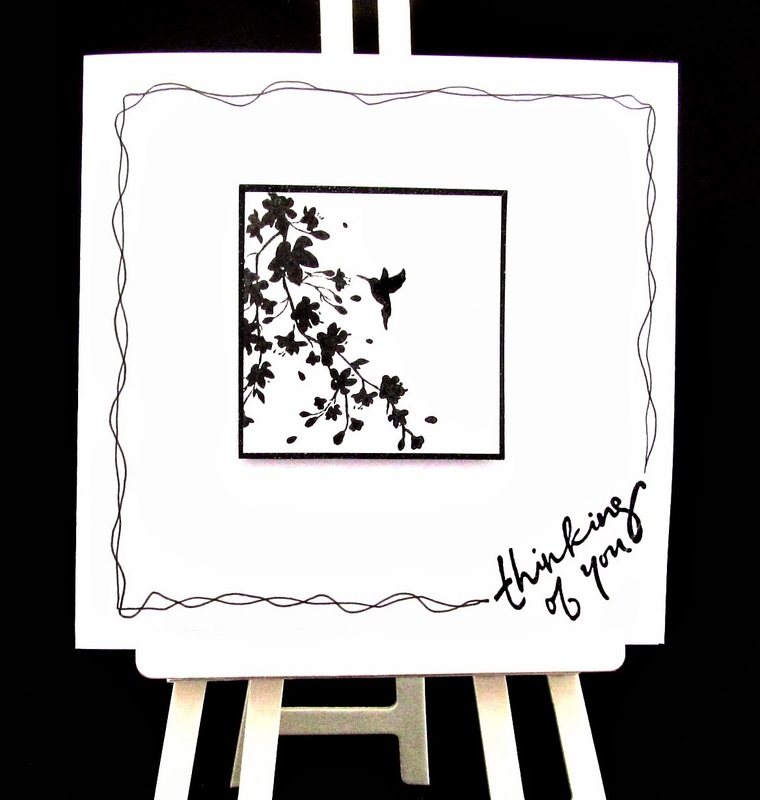 The sentiment was stamped onto the base card and the frame was hand drawn with a pen. The stamp is by Inkylicious. 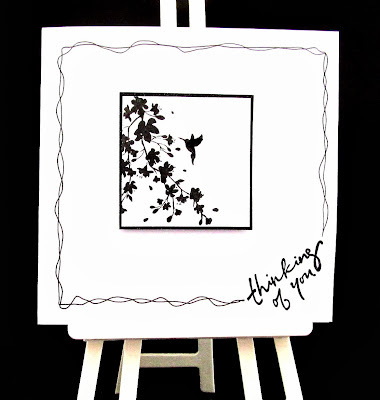 The image and sentiment were stamped onto a piece of pain white card, edged with the same ink as used for the image, then mounted onto the whits base card. 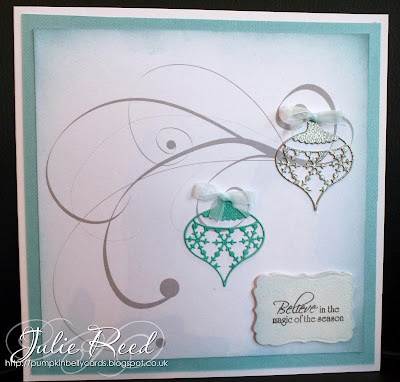 I printed a flourish and added some spellbinders baubles and hand tied bows for my CAS Christmas Card. Although I think most of my cards are fairly uncluttered in design, I rarely leave much 'white space', and I decided to pull myself right out of my comfort zone here. 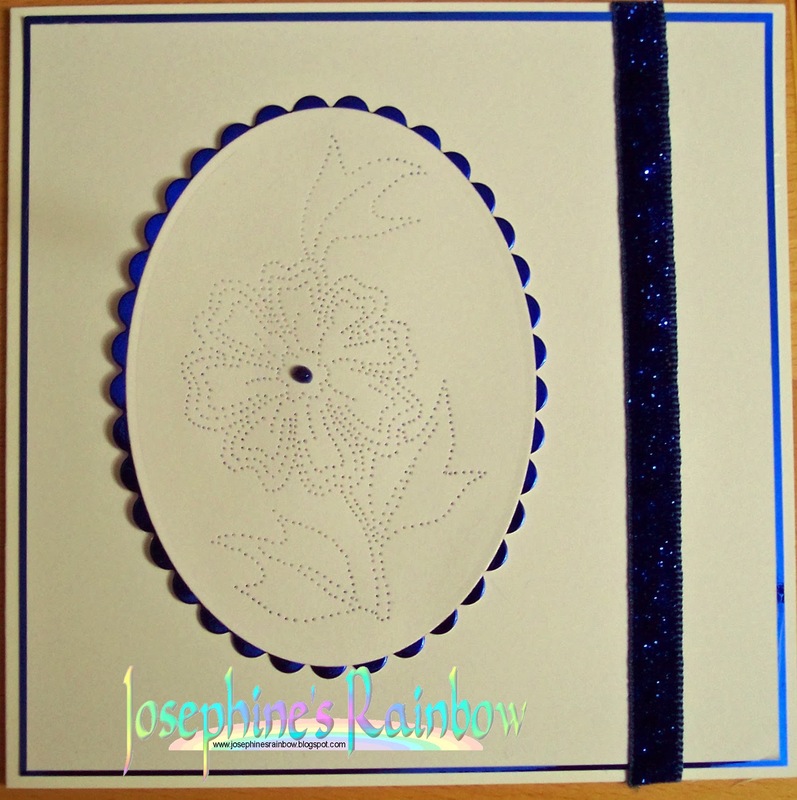 I paperpricked a dogrose design by Janet Wilson and mounted it on blue mirror card, adding some more mirror card, ribbon and a spot of glitter glue. 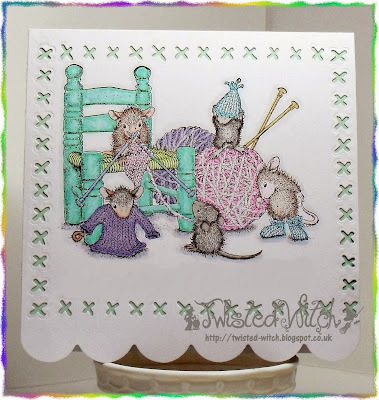 I used a House Mouse stamp, coloured in with my copics, and an xcut die to form the stitches for the border. 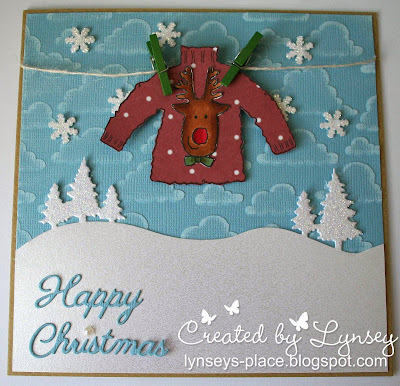 This was such a simple card to make. 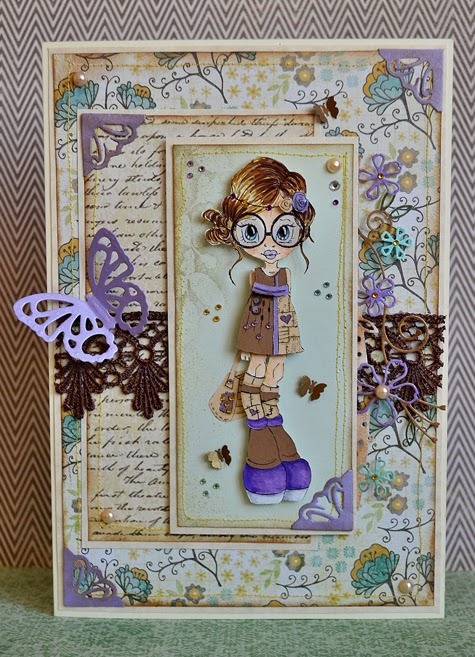 The dressform is a Tim Holtz die, embellished with some seambinding, a small circular SU stamp and some glittery flowers. The DP is also from Stampin’ Up. I've got to admit that I'm very into CAS cards at the moment. 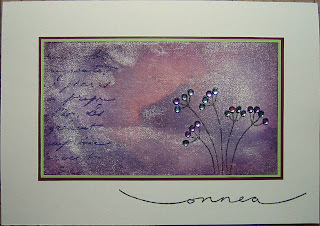 I created a one layer card using Marion Emberson's "On your special day" stamp set, Brilliance Pearlescent Orchid ink and some pearls. 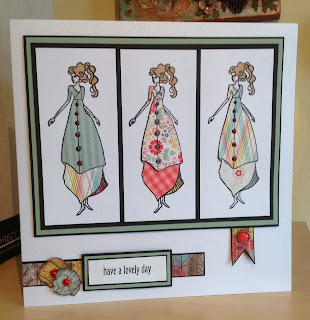 Fab paper piecing and a gorgeous card! The winners have until 8th December to claim their prize, after which time I am afraid the prize(s) will be forfeit. As we choose our winners, rather than having a random number thingy to pick them it's too difficult and time consuming to go back again and go through the entries to pick out new winners. Neither, sadly do we have time to chase the winners up. Viv would like to see something paper pieced on your project. 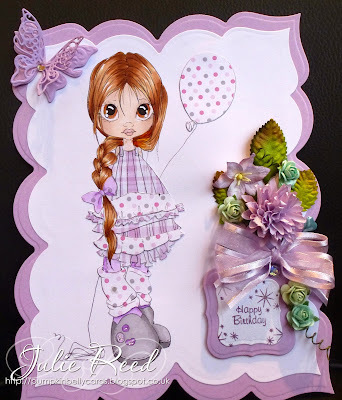 You could, for example, paper piece a flower, part of your image such as a character's clothing, you could even paper piece an animal image for a funky look, one of the team has even paper pieced her background.. I am sure you can think of other ideas! 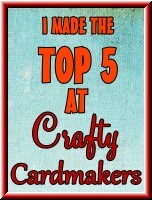 Please ensure that your creation has paper piecing on it in order to qualify for the winner or top 5 slot. I used Krista's lovely Christmas Nutcracker image - and paper pieced her dress and hair ribbons using Raspberry Road's Merry Christmas papers. 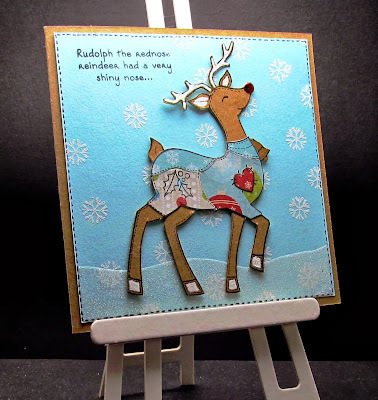 I used this charming stamp from our sponsors, Woodware and paper pieced his body using some Christmas papers left in my stash from last year. The reindeer was stamped onto kraft card as was the base card used. 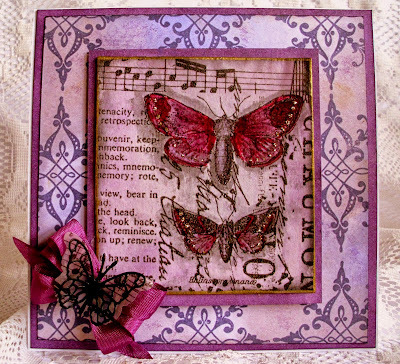 An 8 x 8 card using a Clarity stamped image paper pieced with Theresa Collins papers. 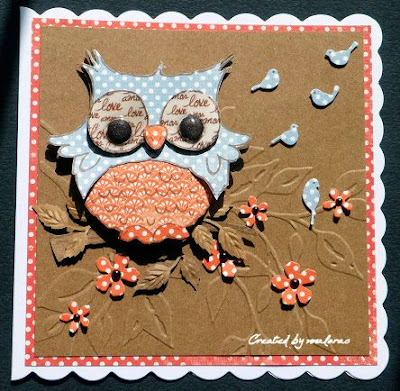 A card made paper piecing small left over papers and a Woodware stamped image. For my card I have used a LOTV stamp coloured with ProMarkers. 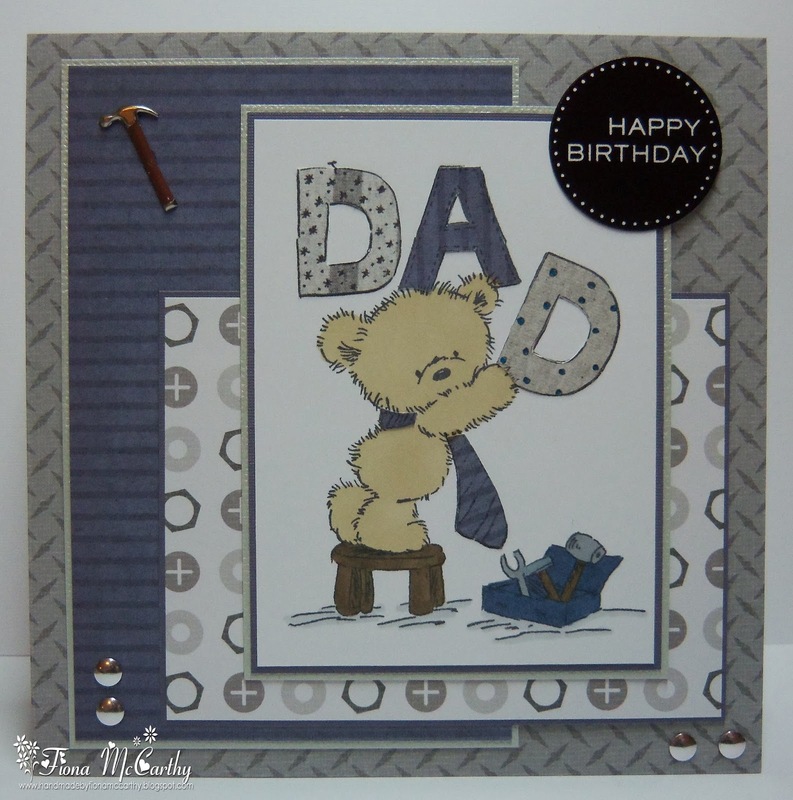 I have used We R Memory Keepers "Vintage T" papers to paper piece the "DAD" and also his little tie. My other papers are from the DCWV "Boyhood" stack. 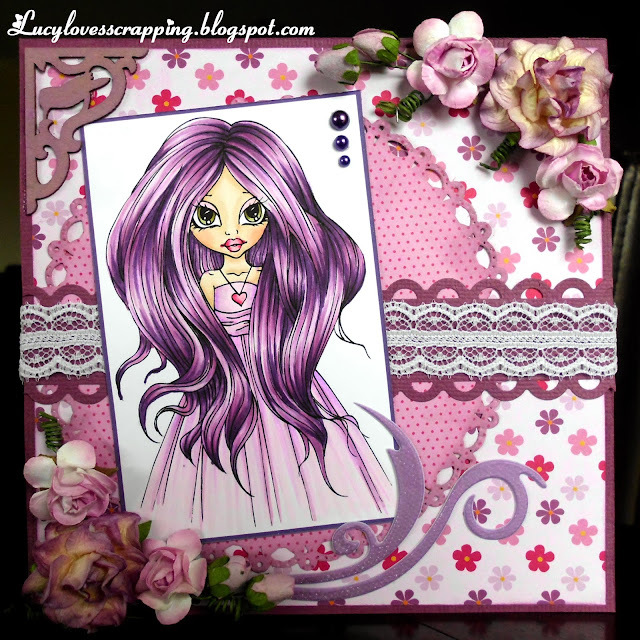 My image is 'Ava' by Saturated Canary and I have used papers from a Papermania DVD to Paper Piece her, I have used Copics and Promarkers for the hair, skin & shoes. 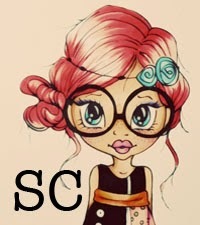 I have used "Ruffles the Clown" from out sponsor, Saturated Canary. The papers are mostly Brenda Pinnick. I have coloured her hair and face with Promarkers. Paper Piecing is not something that I do a lot. 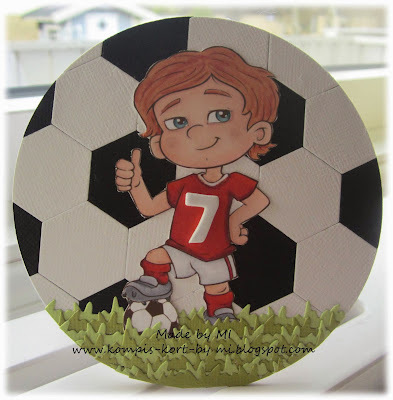 For this card had I actually prepared the sweater for the soccer player, but when I went through my dies I found a patch work die from Joanna Sheen, and the brilliant idea of making a soccer ball came to mind instead. So my whole back ground is lots of tiny pieces of left over card stock made into a soccer ball. Image is from the Paper Shelter. 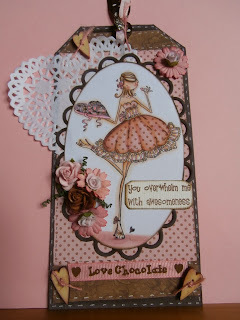 I actually love how this card turned out as it is different from what I normally do. I've had this Prima Doll stamp for a while now and have been itching to get my fingers on her, but I have been too busy elsewhere. Anyhow, she was just crying out to be paper pieced! 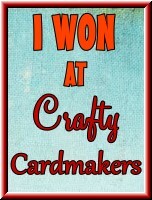 Do you want to make this card? 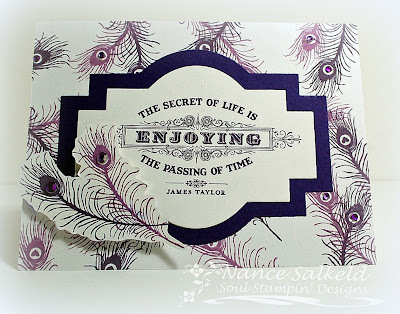 - You must have a lace, some pеarls, dies - from spellbinder, memory box and joy, designer paper, spectrum noir markers and the gorgeous image "Violet Vintage" from our sponsor Saturated Canary. This stamp was free with a magazine. I paper pieced her dress and coloured the rest of her with Promarkers. 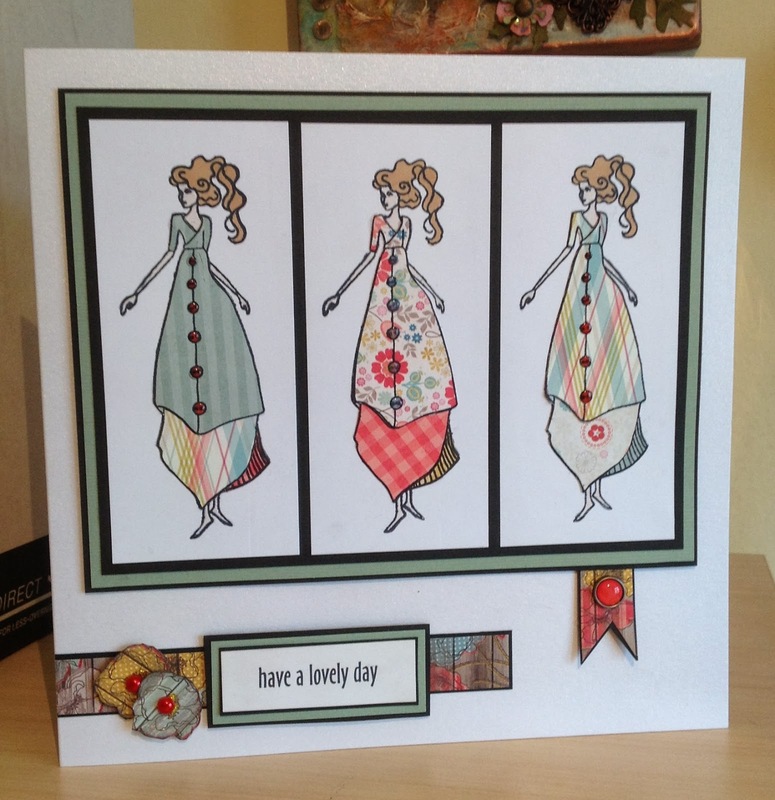 I added glossy accents to her posy of flowers and Stickles to the frill of her dress. 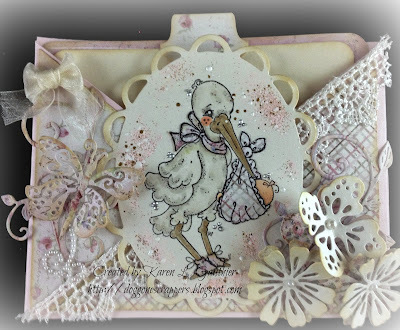 Frames cut with Stampin Up Framelits. 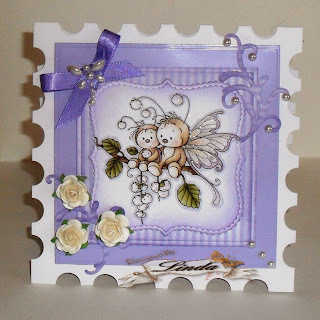 No 4 and butterflies also cut with Stampin Up dies, using SU glitter card. 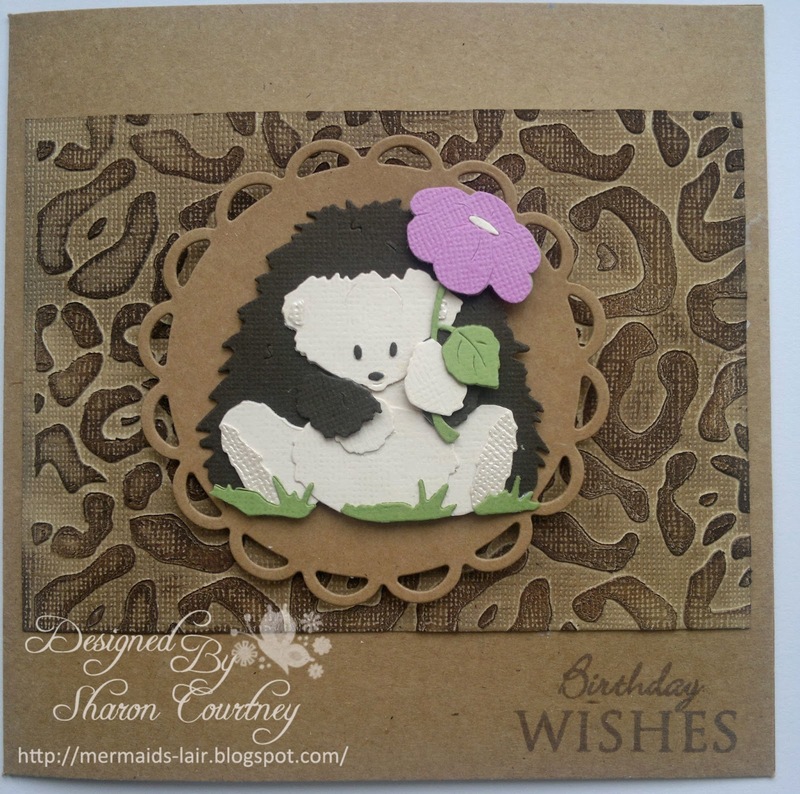 I have paper-pieced a hedgehog using the Docrafts Woodland Friends die, cutting the parts out from different coloured paper and then layering them up to make the cute little creature. 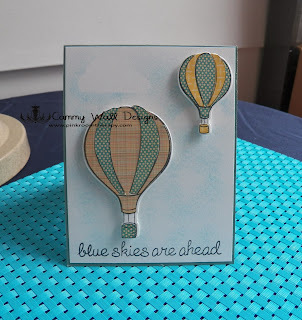 The background was made by running a Darice embossing folder through my Big Shot and then inking over with Walnut Stain distress ink. The winners have until 24th November to claim their prize, after which time I am afraid the prize(s) will be forfeit. As we choose our winners, rather than having a random number thingy to pick them it's too difficult and time consuming to go back again and go through the entries to pick out new winners. Neither, sadly do we have time to chase the winners up.